Info, Concerns and First Visit advice. 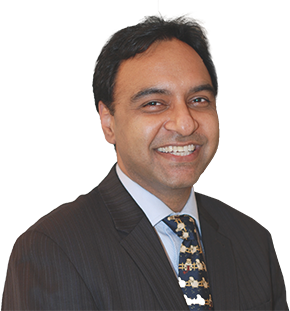 Kuljeet Mehta is registered by the General Dental Council as a specialist in Periodontics. He qualified in 1992. He has gained extensive experience in oral surgery working in some of the countries leading hospitals. He has held several hospital posts. During this period he passed the Fellowship in Dental Surgery examination of the Royal College of Surgeons of England (FDS RCS). In the period 2000 to 2003 he was undergoing his three years specialist training in Periodontology at the St Bartholomew's and the Royal London School of Medicine and Dentistry, Whitechapel, London. He completed the newly created Master of Clinical Dentistry degree in Periodontology and Implant Dentistry. At the end of 2003 he obtained The Diploma of Membership in Restorative Dentistry from The Royal College of Surgeons of Edinburgh. He works part time as a specialist clinical teacher in the Department of Periodontology Guy's Campus at the King's College Hospital Dental Institute in London. When you have problems with your gums, you need to turn to a periodontist who listens and responds ... an experienced periodontist who knows the field and can effectively diagnose and treat your needs ... a friendly physician who counsels you on the best ways to maintain and improve your health. You benefit from a trained professional who gives you the individualized attention you deserve. With his extensive practical experience at the Queen Mary's School of Medicine And Dentistry, University of London, he is in a unique position to offer patients the latest in proven clinical advances in Periodontics.These include: single & multiple implant placement, and advanced cosmetic procedures to enhance your smile. Specialist Clinical Teacher - King's College Hospital Dental Institute Department of Periodontology Guy's Campus.